The Cannes Film Festival winner and Oscar contender The Artist is a black and white silent film. The film was released in 2011, but draws inspiration from the original era of silent films (1894-1929). The American Heritage Center holds significant documentation from this important era in motion picture history, and among this documentation are the Al Christie papers. In the United States, the major center for film-making was in the New York-New Jersey area, until Nestor Film Company sent Al Christie to Hollywood to open a West Coast studio in 1911. Christie later started his own production company, Christie Film Company, which specialized in comedy. Silent film acting was a different art form. Silent films contained no audible dialog, and the music was normally provided by an organist or pianist in the theater where the film was shown. Silent film actors learned to convey emotions with facial expressions rather than with broad stage gestures. The film acting style was considered more naturalistic than theater acting. When advances in technology allowed for sound, silent films fell rapidly out of favor. Yet two decades of work had produced many films that deserve not to be forgotten. The Christie studio had produced hundreds of comedy “shorts” (about 20 minutes) and some full length features. 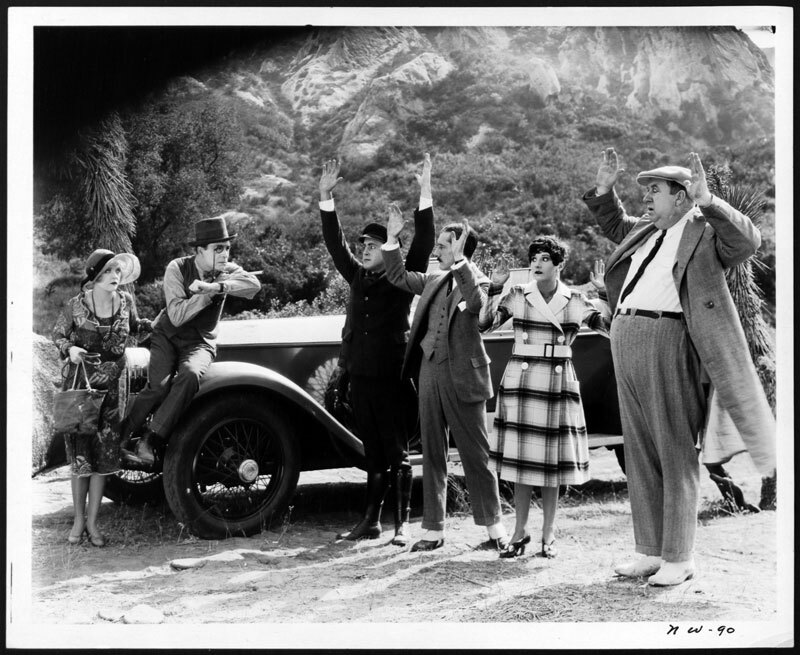 Among the latter was The Nervous Wreck (1926), a comedy about a hypochondriac who learns to take action and win the girl in the Arizona desert. The process involves holding up a car full of tourists with a monkey wrench. The Al Christie papers at the American Heritage Center contain many scripts, synopses, and outlines for silent films. Not all of these films have survived. The production files from the Christie studio offer insight into what it took to make and market silent films. This entry was posted in motion picture history, popular culture, resources. Bookmark the permalink. Anything in the Al Christie Papers collection about the Christie Studios’ involvement in 1931 with radio station KMCS in Los Angeles? The M-C-S reportedly stood for Metropolitan Christie Studios. Did the studio use KMCS to promote the studio’s movies? Jim, we’ll have one of our archivists get in touch with you shortly! Thanks for visiting our blog!